If ratings for the smash TV series Downton Abbey are any indication, viewers are finding the magnificent castle like settings of a British estate rather to their liking, and for travellers, there are plenty of luxury castle hotels and manor houses in the United Kingdom in which to sample that royal-like splendour. 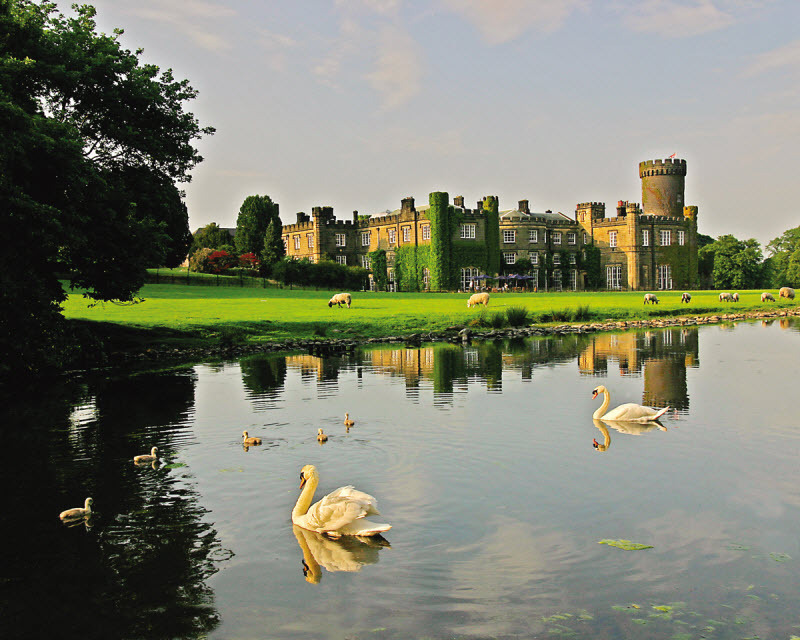 Just north of the picturesque city of Harrogate, Swinton Park Castle strikes a majestic pose within the setting of its manicured lawns, rolling hills and 5 lakes. Inside, guests just might feel as though they’ve been cast in an episode of Downton Abbey. The elegant sitting room with its mint green walls and delicate fixtures makes for the perfect spot for an afternoon cup of tea and warm scones, or even a refreshing gin and tonic. And while the grand bedrooms are fitted with all the latest mod-cons, guests will still feel the rich past which pervades the walls of Sir Abstrupus Danby’s 17th century Swinton Park home. 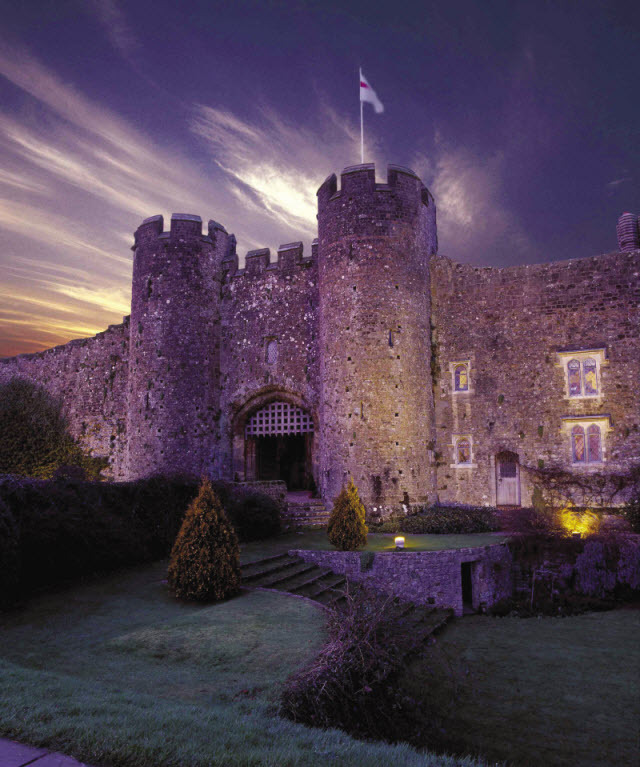 For the ultimate experience, the three floor Turret suite brings the magic of castle living alive. Swinton Park Castle, Harrogate, England. Said to be the last fortified home in England, this imposing medieval style castle was fitted with such characteristic features as a dry moat, gate house with iron bars and narrow, slit like windows. Completed in 1851, every care has been taken to maintain the feel and appearance of the medieval period while providing the ultimate in luxury for the modern day guest. 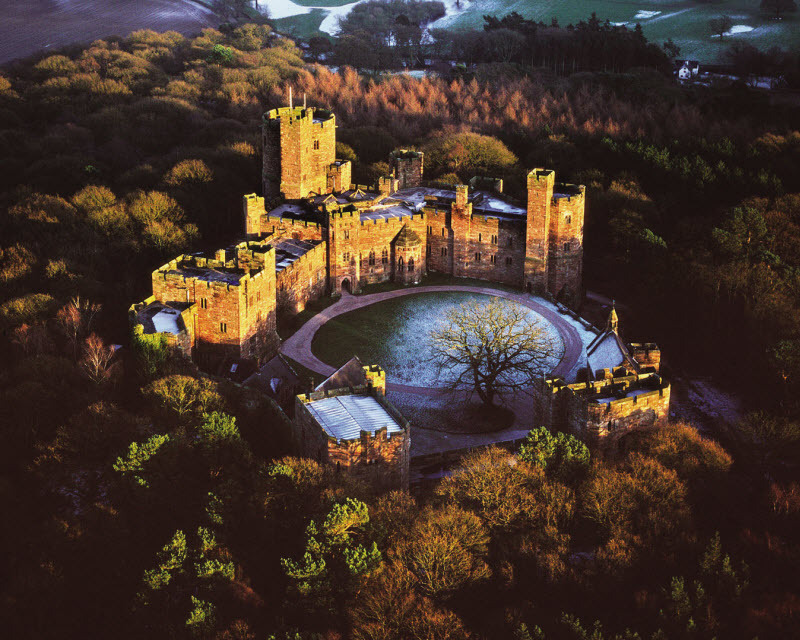 A full day spa, an award winning restaurant, Land Rover tours and a long list of outdoor activities makes a stay at Peckforton both an engaging and restful one. More English country manor than castle, the MacDonald Bath Spa and Hotel nevertheless provides quite the palatial setting. Manicured gardens, a sophisticated outdoor pool area and stylishly decorated rooms reminiscent of a modern boutique hotel give off an aura of refined elegance, luxury, and above all, tranquillity. With its hint of Mediterranean grandeur, the hotel’s formal yet relaxing spaces will immediately put guests in the restful mood intended. The world class spa features a full menu of treatments with quality Elemis beauty products on hand. Not to be outdone, the restaurant serves the finest foods in gourmet, 5-star style. MacDonald Bath Spa & Hotel, Bath, England. 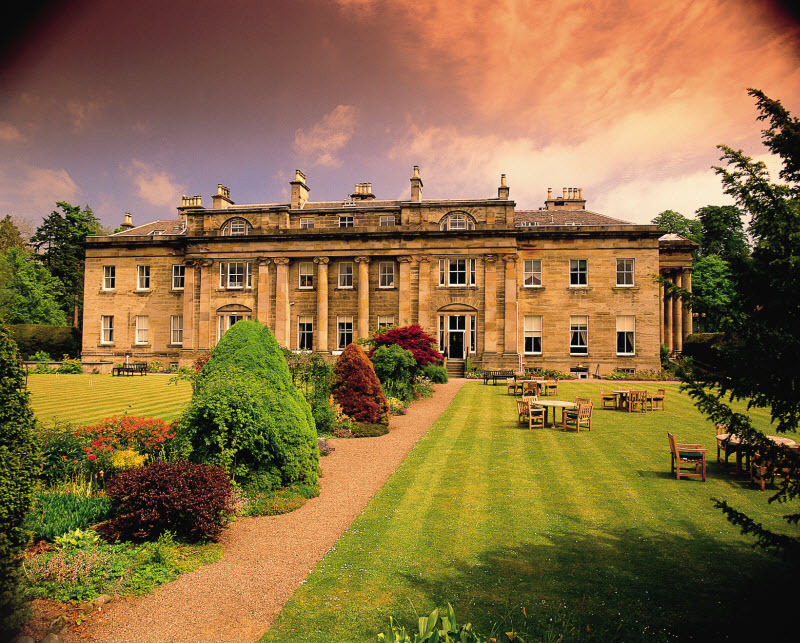 Built in the late 1770s, Balbirnie House in Fife is situated along Scotland’s beautiful east coast. The private home of a wealthy mining family in the 18th and 19th century, the large manor is today one of Scotland’s top guest houses. Surrounded by hundreds of acres of parkland, Balbirnie offers a quiet country retreat with many opportunities to enjoy the outdoors. Golf, forest hikes, sea side villages and local festivals are just some of the attractions available nearby. Rooms at Balbirnie are basic yet bright and comfortable, and the available self-contained apartment offers space for up to 6 adults. There’s no escaping the history of Amberley Castle. Approaching the front gate with its two giant turrets and medieval style iron gates, guests will be instantly transported back in time. A fortress once used by the bishops of Chichester, visitors will see that the historical setting has in no way compromised modern day comfort and style. The warm, inviting, public rooms with their tall and narrow arched windows remind the visitor that they are staying in a 900 year old castle, yet the modern, sophisticated furnishings and luxury amenities seem to blend easily within their surroundings. The Queen’s Room acts as the main dining room, and with a gourmet menu and top chef, the cuisine on offer has elevated the Amberley Castle to even greater heights. An easy drive from Birmingham, Studley Castle near Shakespeare’s home town of Stratford-upon-Avon offers the perfect country escape. 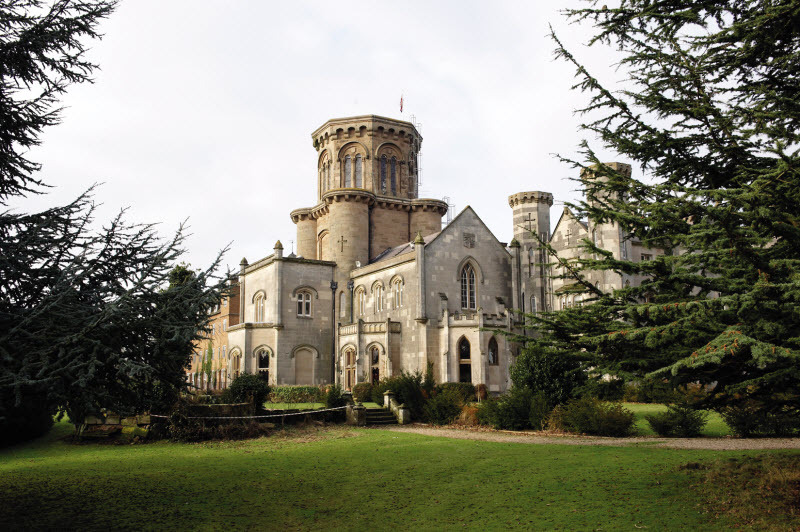 Built in the 1830s, Studley Castle, with its grand scale and 28 acre grounds has become a popular setting for weddings and family events. While never an official castle, the property could certainly pass for one. The Greek Revival architecture and stately turret strike a commanding pose in the rural setting once populated by the noble classes. The 57 bedrooms offer comfortable 3-star lodging while the popular Oak Room Restaurant caters to a variety of tastes. 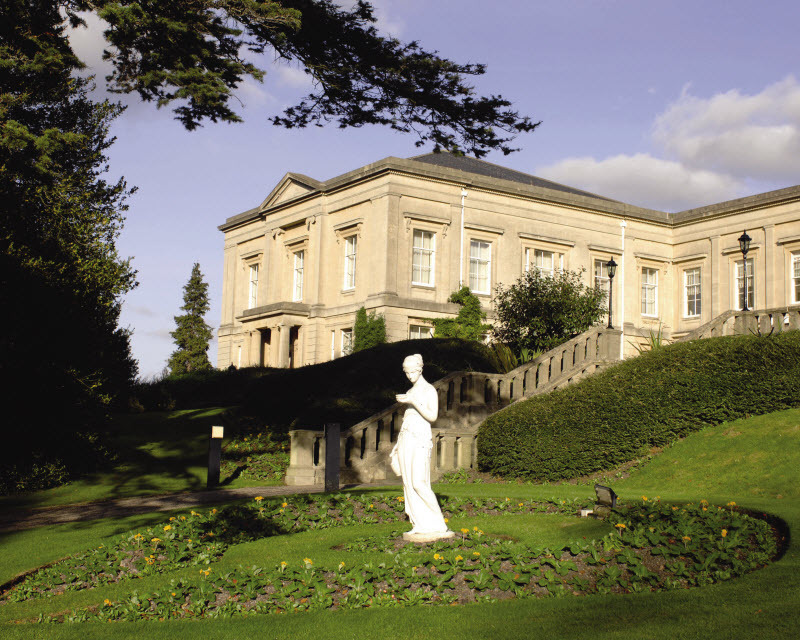 Castle enthusiasts won’t want to miss New Hall Hotel & Spa in Birmingham. Over 800 years old, the 13 century medieval castle is now the oldest inhabited moated house to be historically listed in England. 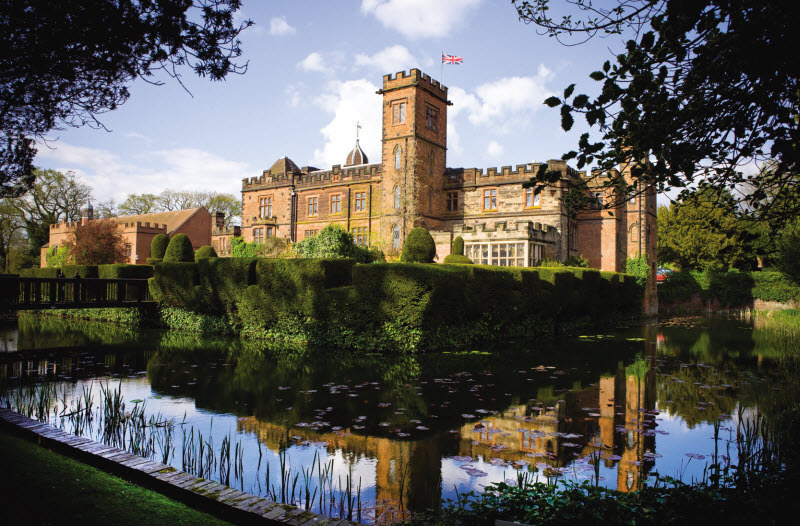 Originally the Earl of Warwick’s hunting lodge and manor house, no expense was spared when constructing the magnificent towers, ornate windows, draw-bridge and moat and acres of lush gardens. On the inside, guests are greeted by wood panelled public rooms, shimmering light fixtures and decorative art work. The Grecian style pool, extensive health club and day spa complete the luxurious package at this double A, four star rated hotel. New Hall Hotel & Spa, Birmingham, England. I currently live in Brisbane, Australia. No matter where my travels take me, I enjoy experiencing each destination from the perspective of the locals. Some of my favourite attractions include historic sites, national parks and architectural landmarks.